Life has been a wonderful journey and thanks to all of our friends and family, it has truly been a blessing! Without you all, we would not be who we are today. Don't forget to check out our wedding website and blog for information and details about our wedding, reception and other special events surrounding our wonderful occasion. On our honeymoon at The Jewel Dunn's River, we will explore the breathtaking surroundings of Mystic Mountain! We will board the Sky Explorer and soar above the treetops up to the top of the mountain. Along the way we will view the lush beauty of Jamaica's dense jungle. Next, we will experience a thrill while speeding through the heart of the forest on a zipline! The Jewel offers us an exciting experience on our honeymoon with the Mystic Mountain Bobsled and Sky Explorer tour! We will board the Sky Explorer and soar above the treetops up to the top of the mountain. Next, we will race through the forest on Bobsled Jamaica, an attraction that will take us for a ride in a custom designed bobsled while viewing the breathtaking landscape of Jamaica! Thanks to your generous wedding gift, we will get to visit the famous Dunn's River Falls on our honeymoon! We will take a short hike to the Falls while admiring Jamaica's lush natural beauty on this exciting excursion. Once at Dunn's River Falls, we will enjoy a refreshing swim and climb to the top for a memorable experience in paradise! We will take an extensive tour through the town of Ocho Rios and visit a Duty Free Shopping Center then wind our way up Fern Gully and the Coyaba Botanical Gardens. We will finish the day with a refreshing climb up the magnificent Dunn's River Falls! With your lovely wedding gift, we will experience an amazing encounter with a dolphin on our honeymoon at The Jewel Dunn's River! While swimming in the water, we will interact with one of these friendly, gentle mammals while enjoying a kiss and a splash or two. Thanks to you, we will discover their grace and beauty while creating perfect honeymoon memories! 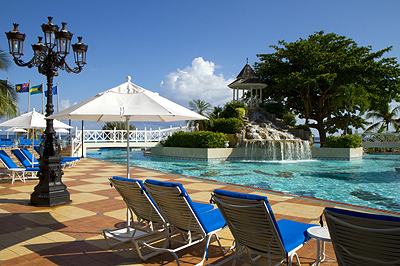 At The Jewel Dunn's River, we will take part in the Spirit of Reggae tour on our honeymoon! Our guide will take us through the village of Nine Mile, where Bob Marley was born and was later laid to rest. We will visit Bob Marley's house where he lived as a young boy and get the opportunity to learn about his life and amazing, inspiring career. Next, we will learn about the culture, the passion and the way of life of the Rastafarians before indulging in a sumptuous lunch! Thanks to your lovely wedding gift, we will discover the luxuries of paradise with over-the-top pampering on our honeymoon! Our Honeymoon Haven is beautifully designed with a pleasing palette of rich island colors, dark tropical hardwoods, a light ceramic tile floor and Colonial decor. This butler suite offers us a mini bar stocked daily with water, beer, wine, champagne and a premium liquor package with mixers and coffee/tea service. Our suite also promises us a magnificent mahogany 4-poster canopied king size bed and a lavish bathroom with dual sinks, a spacious whirlpool bathtub and separate shower. We will receive complimentary wired internet access, room service, cozy bathrobes, nightly turn down service, butler service and an oversized balcony with sweeping views of the sparkling blue Caribbean Sea and beyond! 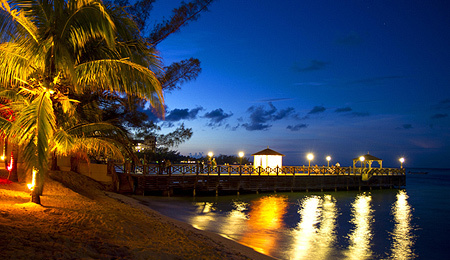 Our honeymoon at The Jewel Dunn's River will be enhanced by the Private Candlelit Beach Dinner! On the powdery white sand beach in an enchanting setting, we will choose from a customized menu and dine on a multi-course meal served to us by our waiter. While we indulge in our evening and admire the shimmering stars above, we will sip on champagne and toast to our new lives together! 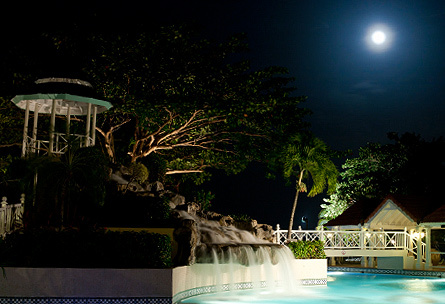 On our honeymoon at The Jewel Dunn's River, we will indulge in an evening of pure romantic bliss! In an enchanting setting above a cascading waterfall at the Falls Pool, we will choose from a customized menu and dine on a multi-course meal served to us by our waiter. While we enjoy our evening and admire the shimmering stars above, we will sip on champagne and toast to our new lives together! The Jewel Box is a duty free and tax free jewelry store and with your wonderful gift, we will bring a part of our honeymoon home with us! This full-service jewelry boutique boasts a wide variety of pieces, ranging in design, style and price. We will purchase our favorite pieces of jewelry and cherish these treasures in the many years to come! We would love to bring home some souvenirs from our romantic honeymoon at The Jewel Dunn's River! Together we will browse around The Treasure Chest in search of keepsakes to bring home with us from our romantic honeymoon. If there are a few things that we forgot to pack, this on-site store will have it stocked! Our adults-only, all inclusive honeymoon sanctuary is situated along a sparkling white sand beach surrounded by tropical vegetation, stunning mountain views and is just minutes away from the famous Dunn's River Falls! The Jewel delivers a luxury honeymoon vacation unlike any other. With your generous wedding gift we can pamper ourselves in an array of spa treatments at The Jewel's Radiant Spa, primp at the Polish Salon, treat ourselves at The Treasure Chest Gift Shop or ask the "Flash!" professional photographers to help us bring home photos that retell our Jewel story for years to come. The Jewel Dunn's River is surrounded by a stunning white sand beach, sparkling azure waters and lush natural beauty including majestic mountain vistas. This adults-only, all inclusive paradise promises us enchanting island ambiance and tropical elegance creating the perfect hideaway for our honeymoon. With your lovely contribution we will discover charming accommodations, indulgent dining options, vibrant entertainment, exciting activities and lavish amenities, and soothing spa treatments. This romantic retreat promises us an exclusive honeymoon vacation with luxuries that one can only find at The Jewel Dunn's River. 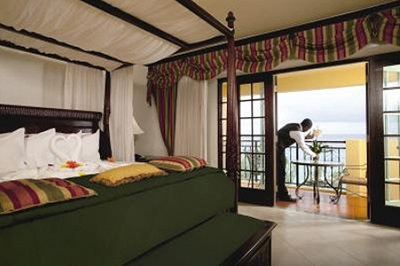 Together, we will enjoy our very own cabana on our romantic honeymoon at The Jewel Dunn's River! While enjoying time together on the pristine sandy beach, we will kick back, relax and indulge in the privacy of our own cabana. We may read a book, cuddle up to each other, or bask in hours of bliss straight through to a private dinner celebrating a perfect honeymoon day in paradise! We will indulge in the Tropical Couples Massage and In-Room Bath on our honeymoon at The Jewel Dunn's River, thanks to you! While lying side by side in the privacy of our room, we will receive a relaxing massage to calm the mind, body and spirit. Next, we will soak in a warm bath filled with natural island scents and herbs while the soft glow of candlelight creates the perfect romantic ambiance! Together we will take delight in the Say Yes Again Spa Package in the serene settings of The Jewel's Radiant Spa! While lying side by side, we will receive a dazzling sugar cane scrub and a signature massage to bring a radiant glow to our skin. Afterwards, we'll delight in a warm paraffin wax treatment that will leave our hands and feet soft and silky smooth for a hand-holding tryst barefoot on the beach. My honeymoon in paradise promises me the ultimate massage in the tranquil settings of the Radiant Spa! I will receive a full body massage blending herbs and island essences to achieve a calm and relaxed state of mind. Next, I will receive an exfoliation of warm Caribbean river stones to revitalize my feet and awaken my senses. This signature massage will end with a Jewel-created emollient to leave my skin glowing radiantly! The Sun Cooler spa treatment will be the perfect wedding gift for my honeymoon in paradise. In the serenity of Radiant Spa, I will be enveloped in a soothing water-lily wrap to moisturize and calm sun-drenched skin while restoring its natural brilliance. Thanks to you, I will experience the special indulgence of Radiant Spa's Traditional Massage on my honeymoon! Using light to medium pressure, lavish massage techniques will revitalize my mind, body and spirit. While this soothing spa treat relaxes me, I will discover a world of peace and calm! This body polish spa treatment is a wonderful wedding gift for my honeymoon at The Jewel Dunn's River! First, I will receive an exfoliation using a blend of natural sea salts and then delight in a refreshing and revitalizing swim in the pool. This tropical treat will end with a relaxing full body massage and a silky smooth application of sunscreen and calming aloe preparing me for a day in the sun! We will discover pure bliss with the Romance by Night package! Our guest room will be beautifully decorated with delicate flower petals sprinkled on the bed while glowing candlelight softens the mood. On our balcony a chilled bottle of champagne and chocolate truffles will be waiting for us, and in the bathroom a scented bubble bath will invite us in for a relaxing and soothing soak in its aromatic essence! 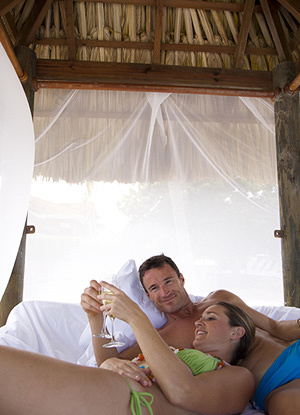 Together we will indulge in the tropical charms of paradise with the Romance by Day package! In an enchanting setting in the lush gardens or on the pristine sand beach, we will take delight in a private picnic for two. We will savor the flavors of fresh fruits, sumptuous sandwiches and chilled champagne for toasting! On our romantic honeymoon at The Jewel Dunn’s River, we will enjoy a bottle of wine. 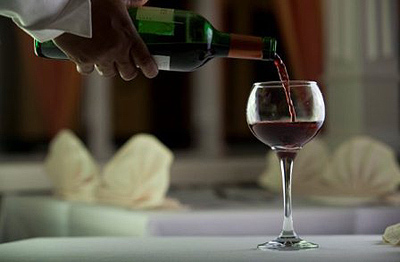 We will choose from generous selections of reds, whites and blushes and have it delivered to our room. Thanks to your generous wedding gift, we will admire spectacular views from our balcony as we toast to our honeymoon in paradise.